Create and sustain strong relationships with public and private partners for customized workforce training and extended learning. Develop, deliver and promote innovative, profitable programs for new, under-served or untapped markets. Lead and coordinate marketing, promotion, recruitment and retention efforts in the Center; including but not limited to online degree seeking seeking students, College in the High School, the University of Minnesota Digital Campus Calling Center and Workforce Development and Outreach efforts and initiatives. Manage and be accountable for budgets, work effectively within and between UMC administrative offices, campus committees, and academic units. Promote and support the integration and expansion of technology enhanced/enabled learning. Build alliances and partnerships to deliver educational programs and services in support of regional community, vitality and economic development. Collaborate internally and externally to establish and advance UMC’s reputation as a premier provider of continuing education. Director of Admissions Michelle Christopherson was part of the 12 member Study Minnesota Delegation who had a very successful trip to multiple embassies in Washington D.C. during Cherry Blossom Season. 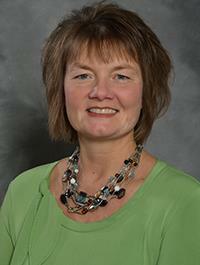 Former director of the Center for Adult Learning, Michelle Christopherson is taking on new leadership responsibilities at the University of Minnesota Crookston. An employee of the campus for 16 years, Michelle has been hired as the new director of admissions following her candidacy in a national level search.